The spooky season is upon us, and now is the time to get your home looking great. 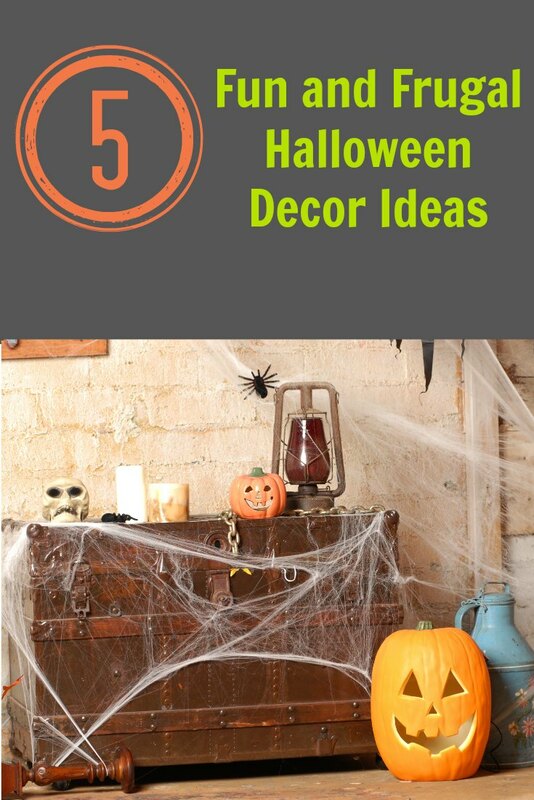 Take a look below at 5 fun and frugal Halloween décor ideas that you can try. These Halloween décor ideas will get your space looking spooky without you spending a whole lot of dough. Take a look! Dollar stores and craft stores typically sell fake black crows this time of year. Use them to make your home look spooky! Perch them on chandeliers, mantles, and doorways. They will give your home a haunted house look. These are about $1 per sheet and come in all sorts of spooky shapes and colors. Not only do they work great on windows, but you can also put them on mirrors. This is a fun and cheap way to decorate bathrooms, kitchens, and more. Grab some ribbon and hang Halloween napkins from it. This is a great way to make a garland that can be hung from entryways or mantles. You can also make quick banners and garlands from Halloween scrapbook paper. 4. Don’t forget the die cuts. Dollar stores such as Dollar Tree also sell Halloween die cuts such as owls and mice. Use these to decorate mirrors, windows, shelves, even stairways. Just add a little bit of tape and stick them to the surface. 5. Spider webs work wonders. Grab a bag of spider webs from your local dollar store. Hang it over mirrors and entryways, chandeliers and stair cases. You can even cover bushes in the yard with it and porch railings. It adds instant spookiness. You can even hang plastic spiders from it. 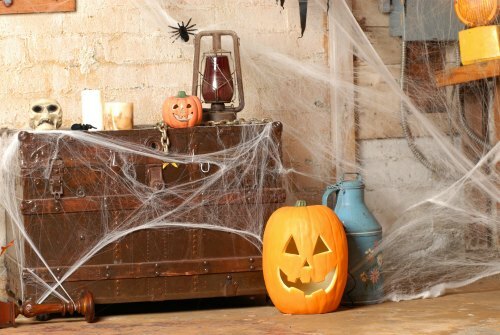 When you give these inexpensive décor ideas a try, you can get your home ready for Halloween for less!